SAN DIMAS — The race for the Valle Vista League baseball title is just one week old, but already a favorite as emerged. 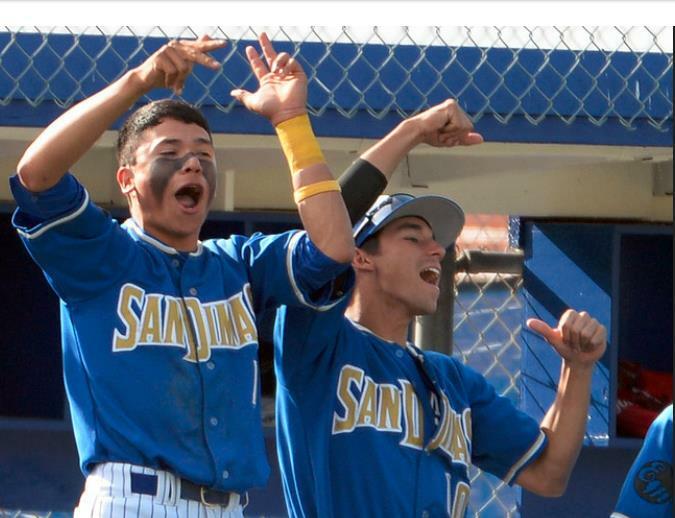 San Dimas, the consensus pick to begin the season, has lived up to the billing after rallying for a 15-5 victory over Northview on Friday to complete a two-game sweep in a league opening series featuring the league’s top two teams. Logan Muratalla had five RBIs and Daniel Millwee had four hits and a RBI for the Saints, who improved to 7-2. Peter Lambert and Michael Starns also had three hits each and two RBIs each for San Dimas, which is ranked No. 2 in CIF-Southern Section Division 4. Starns also got the complete game victory, giving up seven hits with five strikeouts. Zack Rojo had three RBIs and Jake Harrison two for Northview, which slipped to 4-4. Starns had the big hit, a two-run single to score Jacob Castillo and Jonathan Longtin for a 6-5 lead. Muratalla then capped the rally with a three-run double. He also had a two-run single in the sixth for a 15-5 advantage. I said in the beginning of the year San Dimas was going to roll thru the Valle vista . All the teams are down and San Dimas is great . Nogales might have a chance when Anthony Guardado pitches against them . Great Job Starns, keep it goin champ! !